5 Smartphone Gadgets on Amazon Under 300 Rupees. This post will show you the Top 5 Smartphone gadgets which you can get under Rs 300 from Amazon. 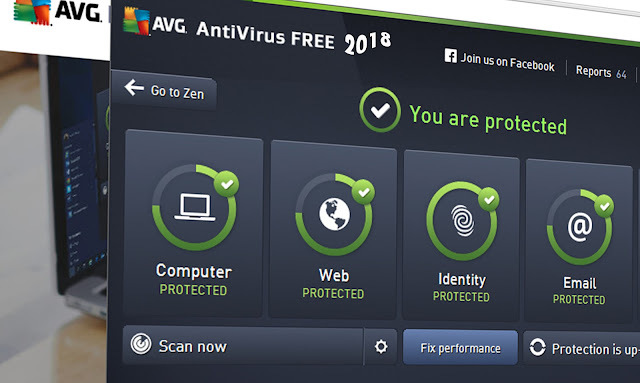 These 5 gadgets are the most useful gadgets which you will need almost everyday and all the products are with amazon fulfilled option so if you are not satisfied after purchase, you can easily return those items back to amazon and get your money back. Padraig Wireless LED bluetooth speaker allows you to play music on the speaker from your smartphone or laptop without any wires. Built for portability and style, this attractive LED speaker can pair with your smartphone through bluetooth wirelessly. The colourful and attractive LED lighting on the speaker makes it easily visible even when there's no light around, good for a night party or at night camping and trekking locations. 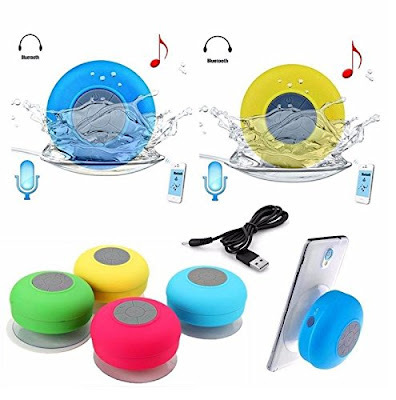 Waterproof Blutooth shower Speaker(RANDOM COLORS) -You can enjoy your favourite music, no matter where you are. The HIGADGET waterproof Bluetooth shower speaker gives you the Advantage of superior sound along with music portability. This portable wireless speaker connect to your mobile phone or music storage device via Bluetooth. Boasting easy connectivity, HIGADGET waterproof Bluetooth shower speaker can be used with multiple musical devices having Bluetooth compatibility. This compact speaker is lightweight, which makes it very easy to carry around while you're on the move. Apart from its remarkable features the speaker also boasts an equally impressive design and body.Enjoy Music, Anytime, Anywhere-HIGADGET waterproof shower speaker is specially designed for music lovers who cannot stay away from their favourite music. 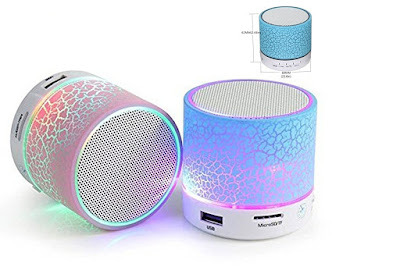 Housed in a sturdy and fashionable bod.Now enjoy your music even while you're taking a shower or driving, as this speaker can be easily placed in multiple locations. Moreover, it also lets you toggle songs and control the volume. This waterproof shower speakerphone comes with a unique suction cup and a built-in mic with which one can answer calls directly. It has a fairly long play time as it comes with a 600mAh rechargeable battery Waterproof Design,can be in the bathroom,beach,swimming pool use.Product Detail-1-Long press to Power on,Long press again to Power OFF.2-Short press to play previous song,long press for volume down 3-short press to play next song,long press for vloume up 4-Answer/Hang Up the phone call under bluetooth model 5-To play/stop playing music 6-MIC 7-DC::Charging Port;8-Indicator light Parameter- 1-Battery Voltage-3.7V 600mAh 2-Charging time-4 hours 3-Loudspeaker Size-40MM X2,43W 4-85X85X45MM 5-105GM. Insert your phone in case. 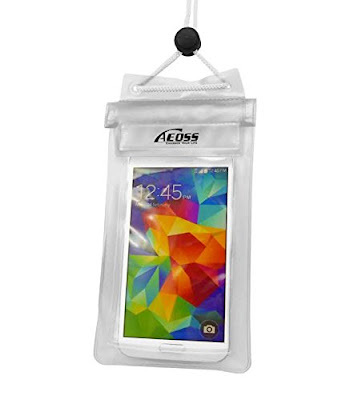 Make sure the case is completely dry and moisture free. Once the case is inside, secure the 1st lock and close it completely. It is very important for you to make sure that no unclosed space remains in the first lock. Repeat the same for the 2nd and the 3rd lock as well. Go over each lock at least thrice to ensure there are no air bubbles between the locks. Carefully and tightly fold the locks and secure them with the 4th and final Velcro lock. 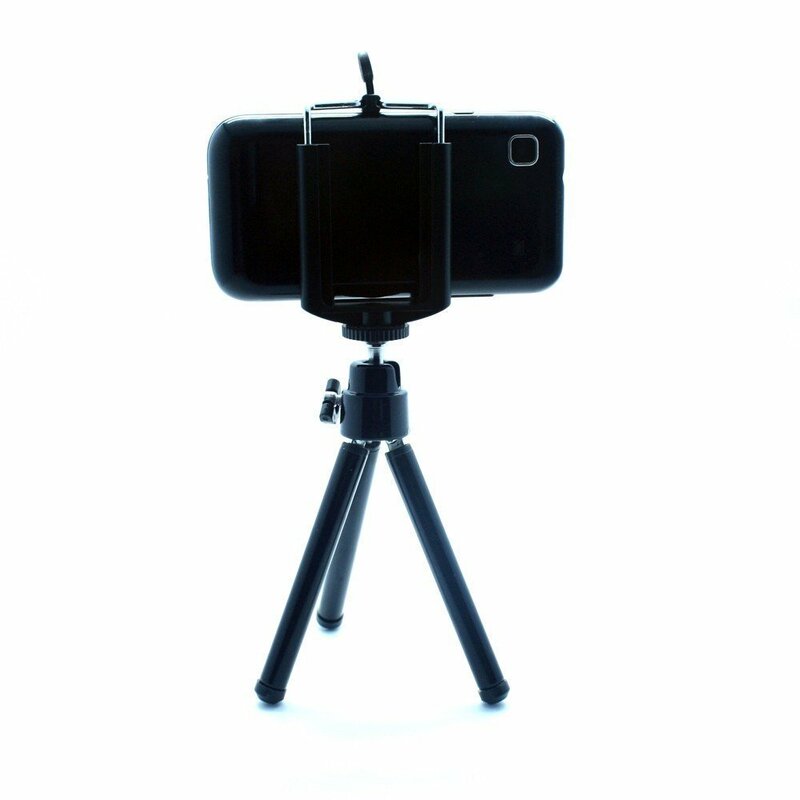 180Ã'Â° tilt-swivel head allows maximum viewing positions Allows 360Ã'Â° rotation for positioning in portrait or landscape view Lightweight and strong Tripod Lenght 6" when fully open. 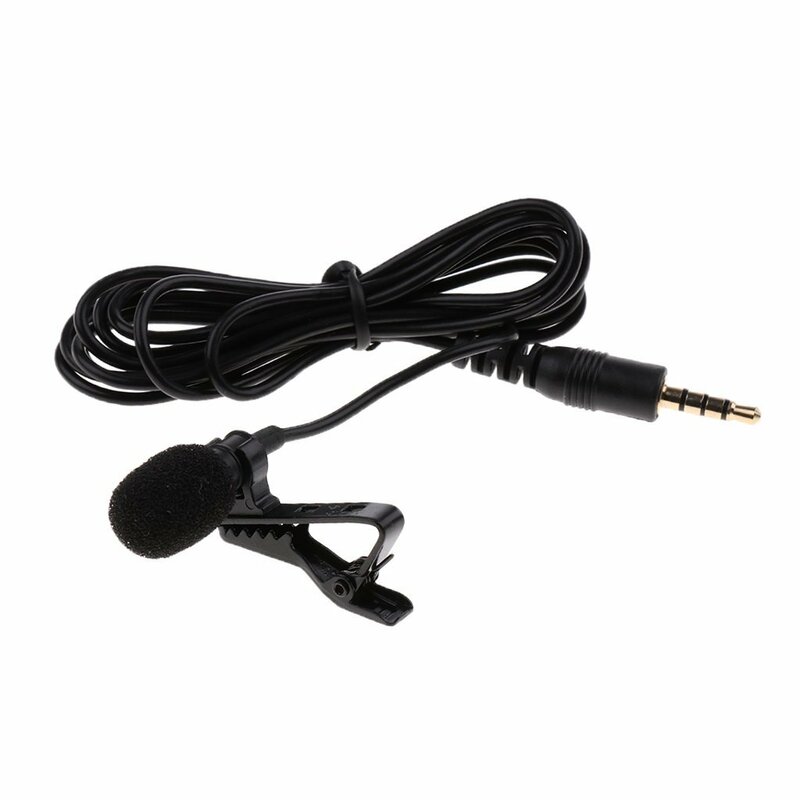 Specifications: polar pattern: omnidirectional mic diameter: 6.0x2.7 mm sensitivity: -30db+-2db frequency range: 20-20khz output impedance: 58db wire: 1.5 meters long. Compatible with android smartphones with ctia standard devices that support trrs jack.Specifications: polar pattern: omnidirectional mic diameter: 6.0x2.7 mm sensitivity: -30db+-2db frequency range: 20-20khz output impedance: 58db wire: 1.5 meters long. These Cool Smartphone Gadgets on Amazon are The Useful and Value For The Price Gadgets for Every Smartphone User. 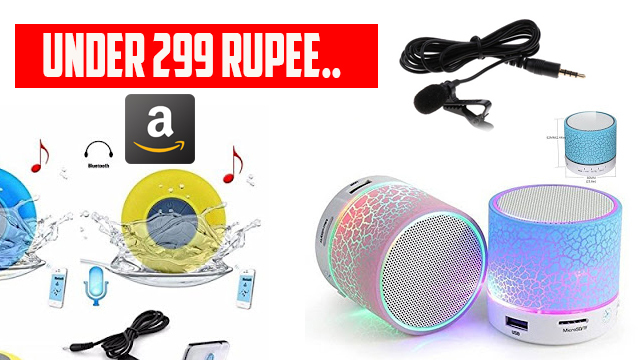 Which are Under 300 Rupees, All The Gadgets and accessories are genuinely selected by Me which You can Purchase From Amazon.